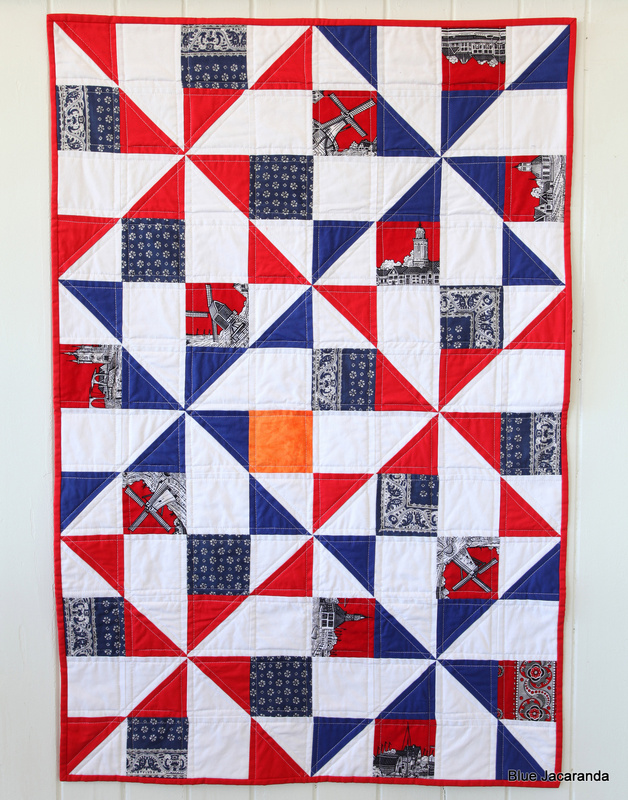 This colourful baby quilt was inspired by the windmills in the Netherlands, my home country. I used the colours of the Dutch flag; red, white and blue; and one orange square as a reference to the Dutch Royal House of Orange. The patterned fabrics are cut from authentic Dutch ‘farmers handkerchiefs’ (boerenzakdoeken), sent to me by my mother-in-law and my best friend in Holland (they are also available here). 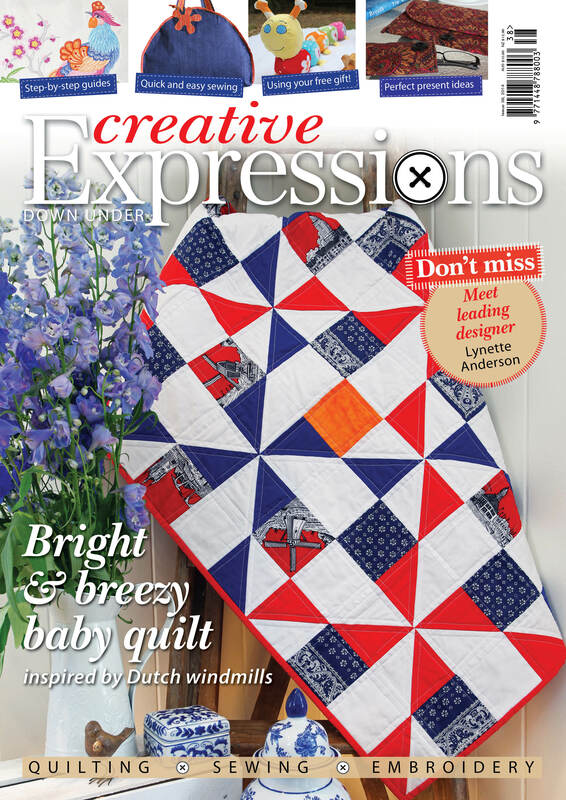 The quilt was made as a project for the Australian magazine Creative Expressions, and I’m very proud that it made the cover! The pattern is now available in my Craftsy pattern shop here. 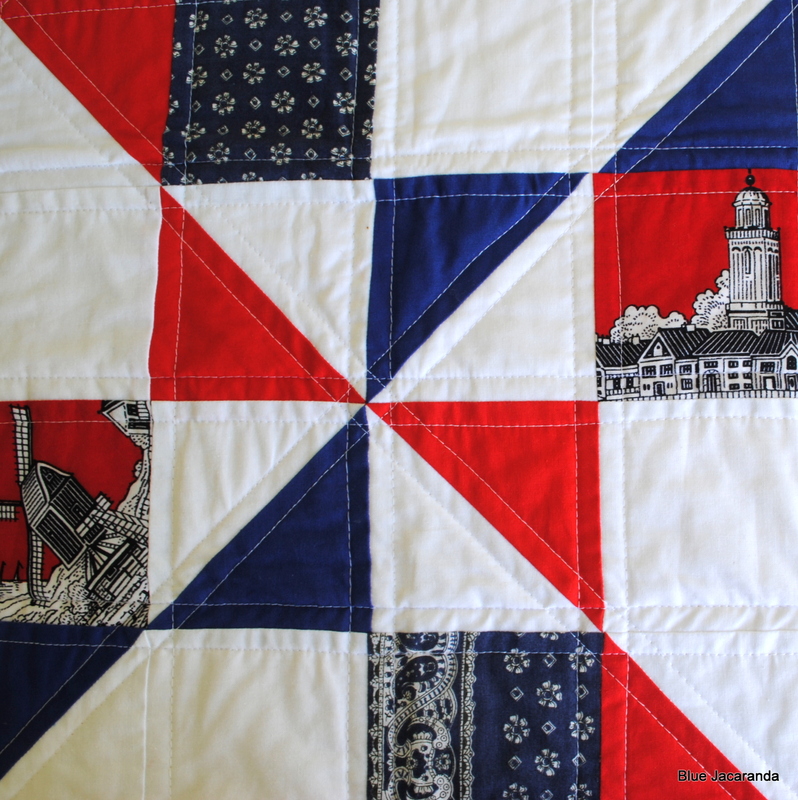 This entry was posted in Quilting, Uncategorized on February 15, 2014 by bluejacarandadesign. 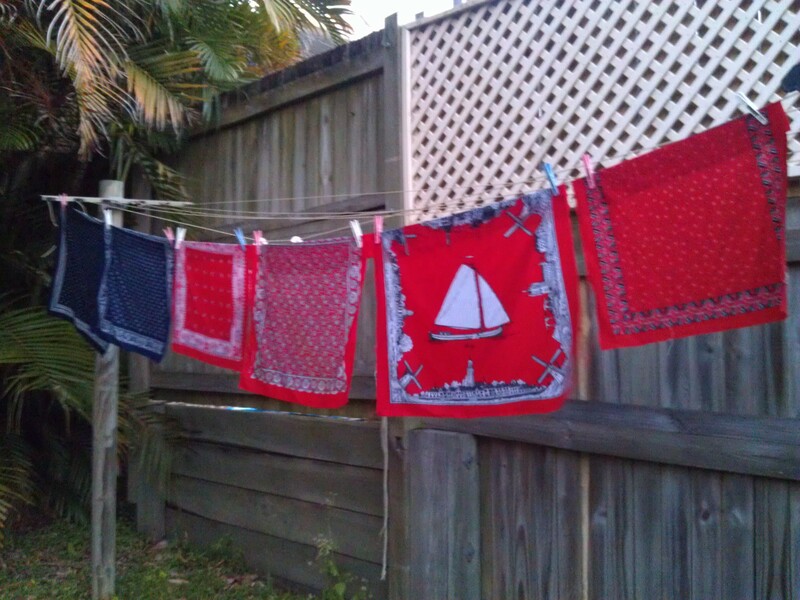 I have one of these handkerchiefs! It was given to me over 30 years ago when I was traveling with my-then boyfriend, Jim. We traveled all over the Netherlands visiting his relatives on their farms. I had a bad cold and one of his aunts gave it to me. Later Jim wanted the handkerchief for himself–no way!–so I had to break up with him ;). I have always loved its design (it looks most like the one to the left of the ship handkerchief on the clothesline)–thank you for the link. Your quilt is lovely and looks gorgeous on the magazine cover–congrats. I love the pop of orange. Was it hard cutting into those beautiful handkerchiefs?! What a lovely story about your handkerchief! No, it wasn’t hard for me to cut them up – as you can see I have quite a few and I can easily get more. Glad to hear you like the quilt!